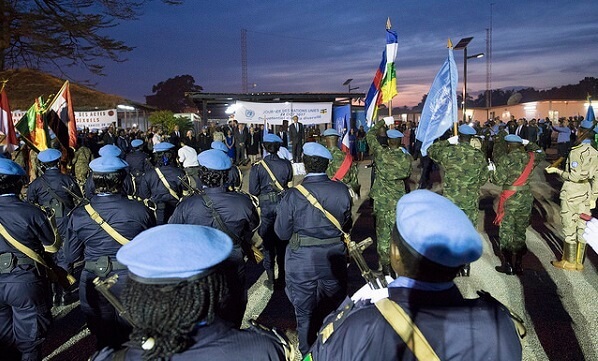 A peace agreement between the Government of the Central African Republic (CAR) and 14 non- state armed groups that has been in conflict since 2012 was signed on February 6. By the end of 2018 almost 585,000 refugees had left CAR, while close to 650,000 were internally displaced within the country. The United Nations have expressed their hope that the return of IDPs and refugees will be integral to establishing peace. Conflict in CAR has been rife since 2012, as fighting between the mostly Christian anti-Balaka militia and the mainly Muslim Séléka rebel coalition, has cost thousands of lives. According to the UN Office for the Coordination of Humanitarian Affairs (OCHA), in 2019, 2.9 million people will need humanitarian and protection assistance; more than 63 per cent of the population. Najat Rochdi, OCHA’s CAR coordinator, reported that one in four people are currently displaced, within CAR or in neighbouring countries, predominantly Cameroon, DRC and Chad. The Norwegian Refugee Council have said that CAR is the world’s third worst humanitarian crisis, and in 2017 considered it the world’s most neglected displacement crisis. Renewed violent attacks against civilians continued to cause people to flee their homes in 2018. In October, Medecins Sans Frontieres expressed their concern regarding the humanitarian situation of approximately 10,000 people who were seeking shelter in an MSF-supported hospital in Northern CAR, after violent clashes between armed groups led to the burning of three camps for internally displaced people. In November, more than 40 people were killed, dozens more wounded, and thousands forced to flee, in an attack on a Catholic mission that was sheltering 20,000 refugees. Peace talks started on January 24 in Khartoum, Sudan, and lasted 10 days under the auspices of the African Initiative for Peace and Reconciliation, led by the African Union (AU) with UN support. The deal was agreed in Khartoum, but formally-signed on Wednesday. United Nations Secretary-General, António Guterres, called on “neighbouring countries, regional organizations and all international partners to support the courageous steps that Central Africans have made to bring lasting peace and stability in their country”. Rochdi stated, “the Central African Republic needs all its daughters and its sons to feel that they are part of the country and also to be able to go back to their houses, to their lands, and to get back their properties”.